In our house the whistle of a tea kettle is heard throughout the day, no matter the temp outside. So what produces that familiar high pitched sound? 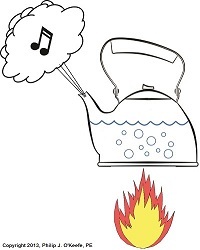 When a tea kettle filled with room temperature water, say about 70°F, is heating on the stove top, the heat energy from the burner flame will transfer to the water in the kettle and its temperature will steadily rise. 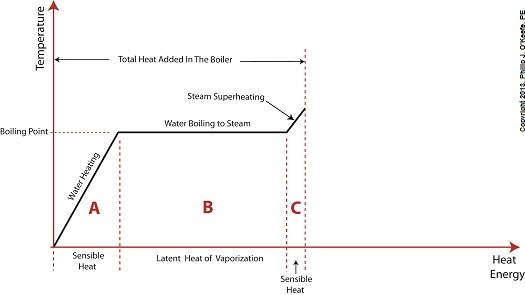 This heat energy that is absorbed by the water before it begins to boil is known as sensible heat in thermodynamics. 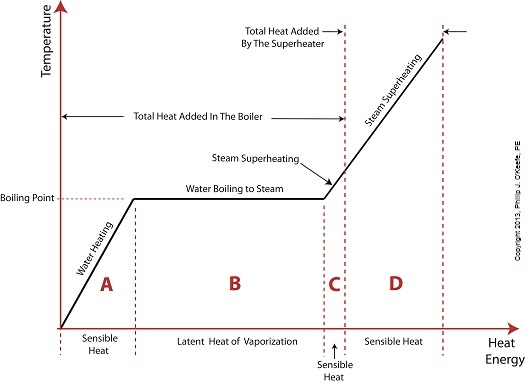 To read more about thermodynamics, click on this hyperlink to one of my previous blog articles on the topic. So, why is it called sensible heat? It’s so named because it seems to make sense. 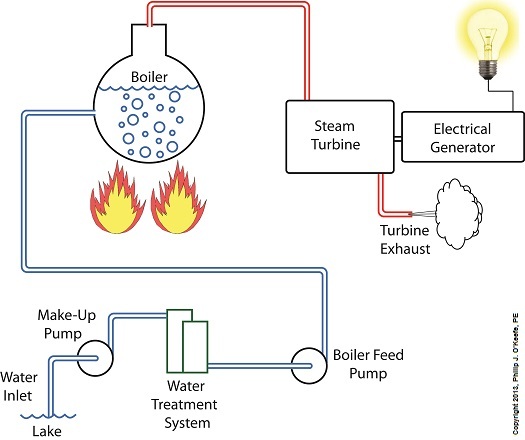 The term was first used in the early 19th Century by some of the first engineers who were working on the development of boilers and steam engines to power factories and railways. 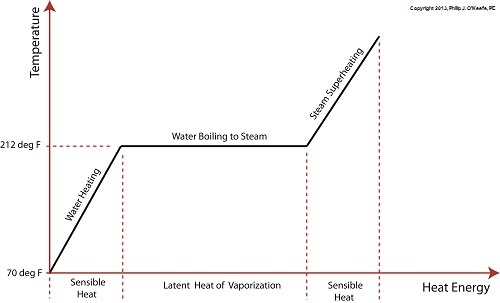 Simply stated, it’s sensible to assume that the more heat you add to the water in the kettle, the more its temperature will rise. So how high will the temperature rise? Is there a point when it will cease to rise? Good questions. We’ll answer them next week, along with a discussion on another form of heat energy known as the latent heat of vaporization.